The two DS-U1-Ya satellites were Soviet satellites which were launched in 1968 as part of the Dnepropetrovsk Sputnik programme. They were 375 kg spacecraft, which were built by the Yuzhnoye Design Bureau, and were used to investigate cosmic rays and flows of charged particles in the Earth's magnetosphere. 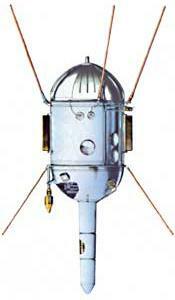 Kosmos-2 carrier rockets were used to launch the satellites into low Earth orbit from Kapustin Yar. Upon successfully reaching orbit, the satellites received Kosmos designations. The first DS-U1-Ya #1 satellite was lost in a launch failure due to a second stage malfunction, 216 seconds into its flight. Kosmos 225 was the second of two DS-U1-Ya satellites to be launched. It completed operations on 29 June 1968, before decaying from orbit and reentering the atmosphere on 2 November 1968. The missions provided valuable information on the level of natural radiation background and radiations in a wide range of energies and intensities in near-Earth space.